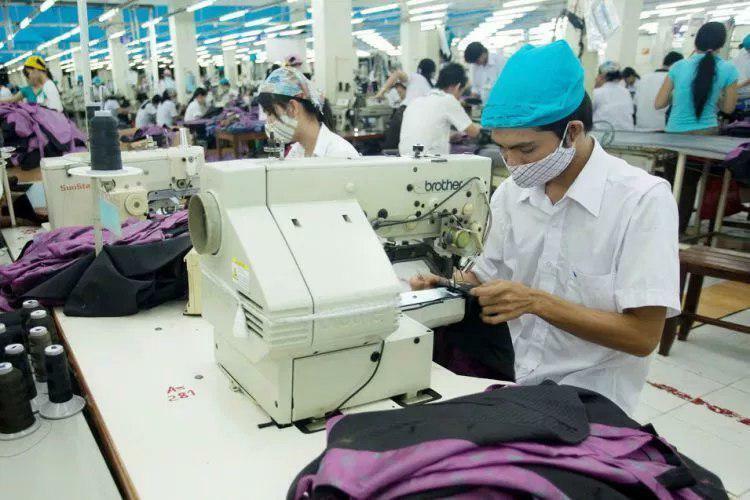 HANOI, March 29 (Xinhua) -- Vietnam reaped roughly 7.3 billion U.S. dollars from exporting garments and textiles in the first quarter of this year, up 13.3 percent on-year, according to the country's Ministry of Industry and Trade on Friday. The turnovers of Vietnamese garments and textiles exported to the United States went up 12.3 percent, to the European Union (EU) up 9.8 percent, to the Association of Southeast Asian Nations (ASEAN) up 40.5 percent, to Japan up 7.4 percent, and to South Korea up 6.4 percent. In March alone, the garment and textile export turnovers stood at 2.7 billion U.S. dollars, seeing a yea-on-year rise of 15.9 percent. The revenue surge was mainly attributable to strong market demand, with many orders already placed for the first six months of this year or even the whole year, said the ministry. By the end of this year, total export turnovers of the industry may reach 40 billion U.S. dollars, the Vietnam Textile and Apparel Association forecast. Vietnam, among the world's five biggest exporters and producers of garments and textiles, posted garment and textile export turnovers of over 30.4 billion U.S. dollars in 2018, up 16.6 percent from 2017. However, Vietnam had to spend more than 12.9 billion U.S. dollars importing cloth last year, up 13.5 percent, the association said, noting that most of local cloth has yet to satisfy quality requirements of the country's key garment export markets.